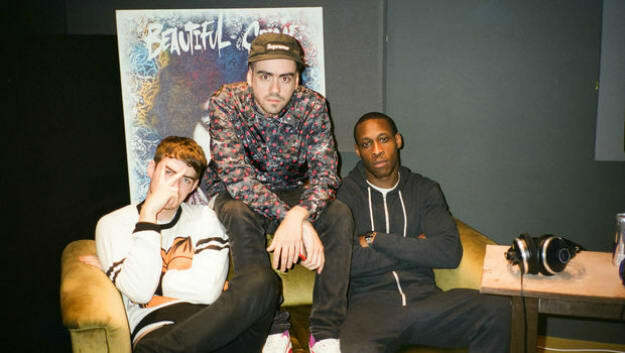 Oneman, Ryan Hemsworth, and Red Bull Studios are out here doing God’s work, spreading the uniquely brilliant sounds of UK grime MC Trim to new ears. How many Ryan Hemsworth fans are familiar with Trim? Probably not that many, although it’s clear from the success of his Secret Songs series (the latest artist to feature was P&P fav dd elle) that his fans are open-minded and ready to listen to whatever he brings them. “Difficulties” is an original track that will feature on Volume 3 of DJ Oneman’s Solitaire mix series (check out the previous two), released September 29, and sees Hemsworth show off a darker side to his production, with a clanking, eerie beat that Trim smashes in typically obtuse, abstract fashion. Solitaire Vol. 3 will feature six more original tracks, recorded in Red Bull Studios around the world, from Mumdance, Todd Edwards, Denzel Curry, Main Attrakionz and more. I’m taking the mixtape idea to the next level with Solitaire 3. By using Red Bull’s studios worldwide to create exclusive tracks and set up collaborations that have never been done before, it’s an international link up of some of my favourite artists and an honour to have some of my heroes involved. Check out “Difficulties” below, and be sure to listen to the full mix when it drops on September 29.